Happy Hello!!! 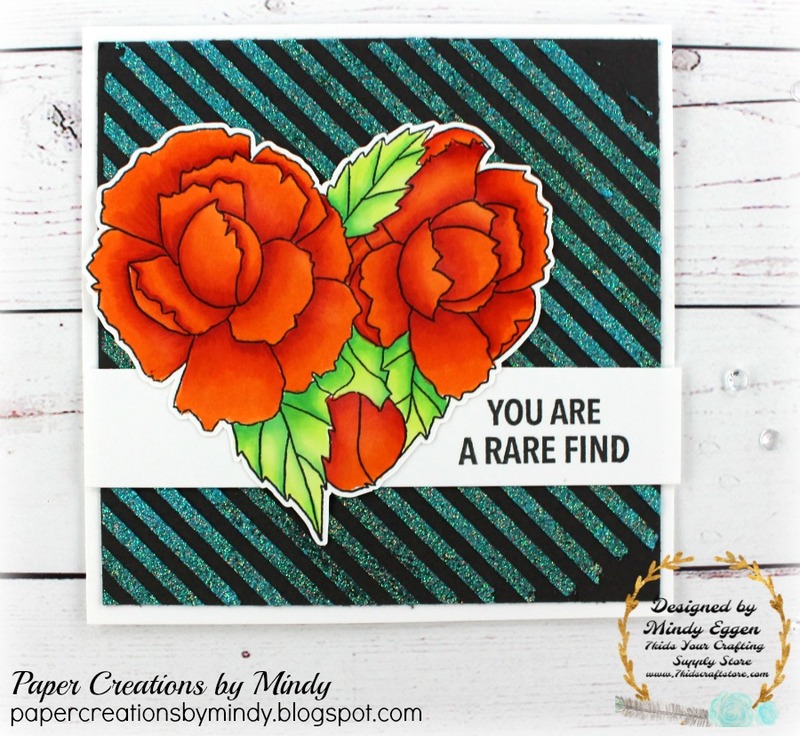 I have a gorgeous card to share today for 7 Kids Your Crafting Supply Store. 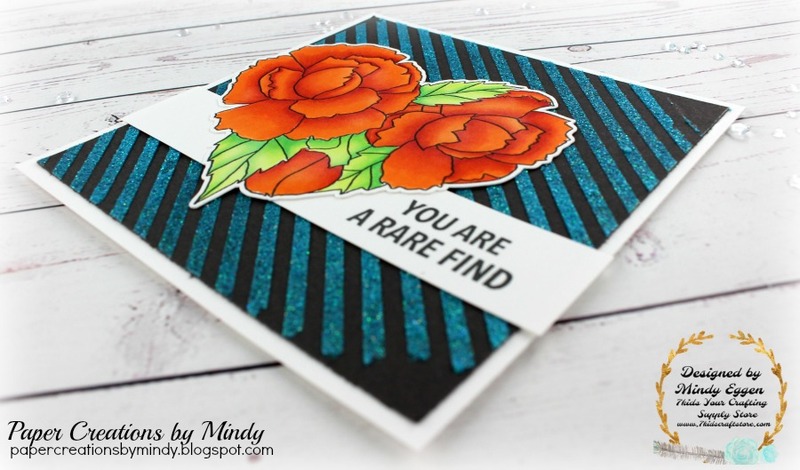 I have been doing a little playing with the Nuvo glitter paste – it is so stunning in person! It’s really hard to capture it on camera but I did my best. I started off by stamping my flower from Concord & 9th stamp You Are Here. I colored it with my copics markers and cut it out with my Scan N Cut machine. This flower would look stunning in any color! Next I started on my background. I adhered a striped stencil down to my cardstock with some painters tape so it doesn’t slide out of place. Using a small spatula I started to spread a layer of the Nuvo Glitter paste onto my project. Once I was satisfied with the amount of glitter paste on my project, I removed the stencil and quickly washed off my spatula and stencil. Don’t let it sit because the glitter will stick to the stencil. I let the background sit for a few hours (actually 5 hours by the time I was able to get back to it lol) … and started to put my project together. My base is 5″ x 5″ so I trimmed the stencil piece down to 4 3/4″ x 4 3/4″ so there was a little border of white. I love how this glitter paste looks on the dark cardstock. It’s almost iridescent! In the picture above, you can actually see the blue. I stamped my sentiment on a small strip of white cardstock, lined everything up and adhered together. 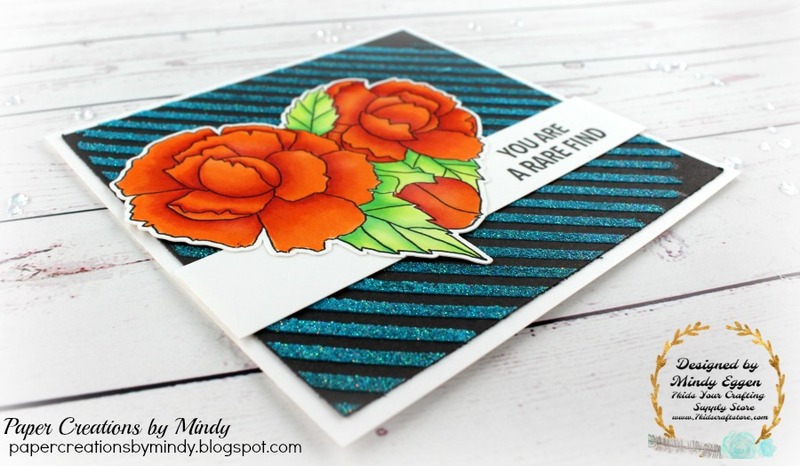 I have a fun card share video of this to give more of an idea of how the card looks and the products used. Enjoy! Krafty Komeback – Let Them Eat Cupcakes! I love this card!! I'm going to have to get some nuvo paste and give it a try. Thanks for showing on the video.